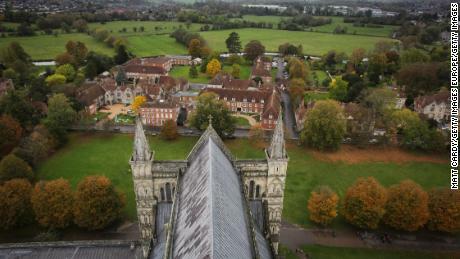 A year after the attack on Sergei Skripal and his daughter Yulia, The Sunday Times has given Salisbury the top spot in its annual list, saying “there’s real optimism in the air” in the southern English city. Months later a couple, who lived about 13 kilometers (8 miles) north of Salisbury, were also exposed to the Soviet-era nerve agent. Dawn Sturgess died after coming into contact with a contaminated perfume bottle, believed to be the same one used to attack the Skripals. Sturgess’ partner, Charlie Rowley was eventually discharged from hospital. “In the immediate aftermath of the poisoning, the city’s shops emptied; tourists, who are a mainstay of the local economy, stayed away. But now business is returning to normal, the cafes are full and there’s hope and enthusiasm in the air,” the newspaper said. The Isle of Dogs was named the best place to live in London, according to the Sunday Times list, while Dundee took the top spot in Scotland, Holywood won in Ireland and Crickhowell was chosen as Wales’s winner. The results were based on expert knowledge provided by the judges, alongside statistics such as housing prices, according to PA. Previous winners of the paper’s best place to live title include York in 2018, and Bristol in 2017.